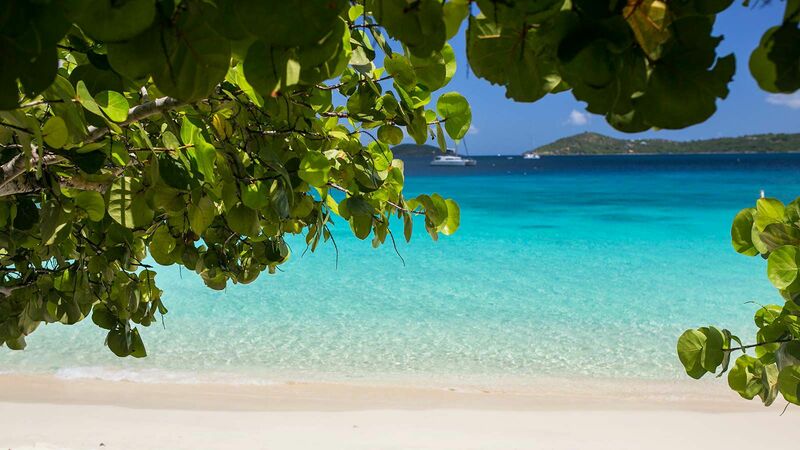 The Caribbean is beloved for its beaches and top-notch hotels, but experiencing the region solely from the seat of a chaise lounge is a big mistake. 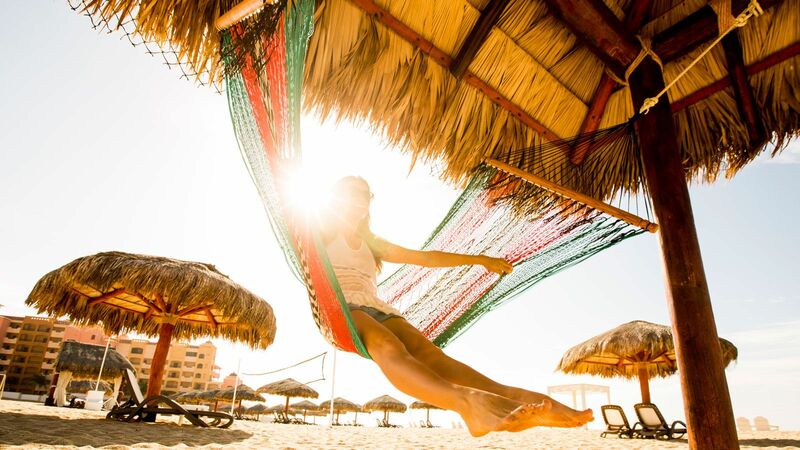 With more than 7,000 islands—many with their own distinct cuisines, cultures, and characteristics—there’s much more to see than just sun and sand. From music festivals and food festivals to raucous street parties, the Caribbean has an unlikely richness not found in many other corners of the planet. Here are five fresh ideas for a Caribbean getaway, each of which guarantees a true taste of island life. And best of all, you can still stay somewhere that will guarantee pampering—such as these Caribbean hotels that guarantee a crowd-free vacation. Chartering a private yacht is one of those catastrophically pricey vacation ideas that most of us don’t even bother putting on our bucket list. That is, until you come across Tradewinds. The family-run fleet of so-called “floating hotels” has revolutionized sailing the Caribbean, allowing travelers to book a single berth on a luxury catamaran just as they would a hotel room on dry land, and for roughly the same price. Think of it as the Airbnb of yachting. Tradewinds sails to just about anywhere in the Caribbean, and compared to the cool five figures it normally costs to charter a private boat, the average week-long Tradewinds sailing trip comes in at under $6,000 per couple, and includes a captain, crew, private chef, all meals, booze, and activities such as scuba diving. Hotels with two hulls aren’t just for telecom tycoons anymore. Barbados is known for its idyllic beaches, but what most people don’t know is that the island is also home to the biggest international reggae event outside of reggae’s birthplace, Jamaica. The annual week long festival’s biggest bash, Reggae on the Hill, packs over 40,000 people into the ethereal Farley Hill National Park—a sweeping tract of mahogany forest overlooking the Atlantic ocean—while the who’s who of reggae and dancehall music perform from morning to way past midnight. On the island where reggae was born, Rebel Salute is the preeminent music event, showcasing a massive lineup of reggae greats spanning several eras. 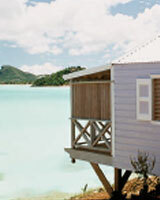 Anguilla is most often marketed as an exclusive, celebrity-filled isle. 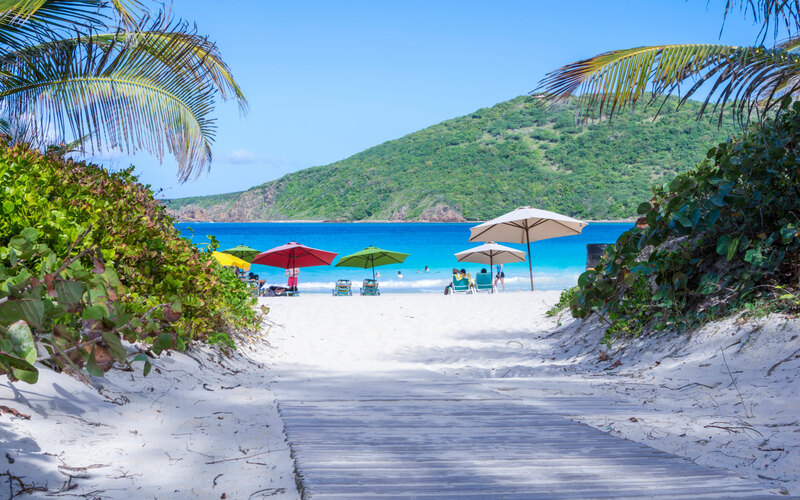 But just down the beach from the island’s poshest resorts is the Dune Preserve, recently rated as the world’s best beach bar and the home of Moonsplash, the Caribbean’s oldest independent music festival. Moonsplash spans three straight days on Anguilla’s Rendezvous Bay beach every April, and with less than a thousand tickets up for grabs, it’s an intimate affair. Festival-goers get up close and personal with reggae legends as well as special performers—John Mayer, Nas, and Jimmy Buffet have surprised audiences in the past. 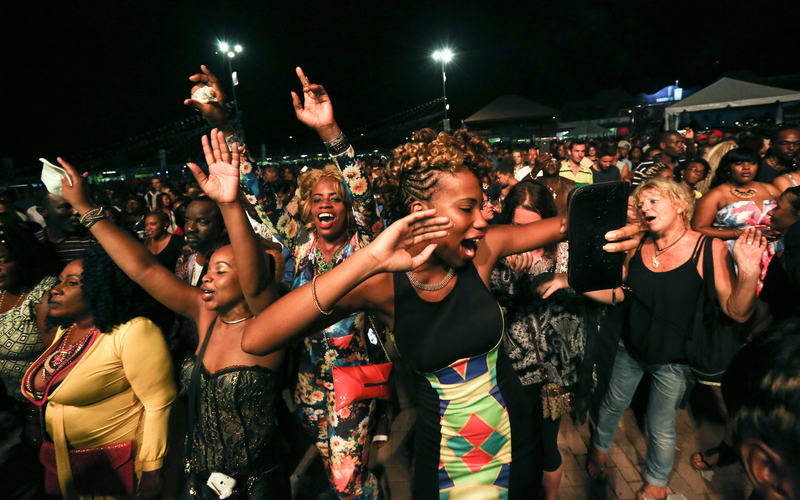 The annual Tobago Jazz Experience combines jazz, soul, funk, R&B, reggae, and soca and calypso (the indigenous genres of Trinidad and Tobago) into a nine-day celebration of music. Last year’s headliners were an unbeatable trifecta: J. Cole, Lauryn Hill, and Maxwell, with concerts taking place at venues across the quaint Caribbean island, from al fresco verandas to a string of beachside bandstands. Carnival in the Caribbean is something every traveler must experience at least once. Though the region’s celebrations bear the name “Carnival” and a handful fall on Fat Tuesday, the Caribbean blowouts are actually not affiliated with Christianity nor are they traditions imported from Europe or Brazil. Carnivals in the Caribbean originated as freedom festivals following emancipation and continue to exist as celebrations of life, liberty, and, of course, rum. Trinidad’s Carnival is one of the largest in the world, though it receives a fraction of the press coverage that Rio’s does. However, it is equally bucket-list worthy, with soca music, mas bands, and panyards (or steel drums). The wild festivities begin immediately after Christmas and continue all day and all night for two months until J’ouvert, an all-night party where revelers coat each other in chocolate, paint, and clay, and Port-of-Spain’s exuberant two-day Carnival parade. Travelers are welcome to join in on the craziness, not as sidelined spectators but as costumed participants, parading with mas bands such as Fantasy and Tribe. In Carnival-speak, mas band simply refers to a band of people masquerading in costume together, not a musical band. Another useful Caribbean term is “jumping up,” the act of masquerading in a Carnival band. Barbados’s Carnival, called Crop Over, has made headlines in recent years thanks to Rihanna’s repeated attendance. Crop Over takes place every August and like Trinidad Carnival, is a months-long rum-laden affair that invites tourists to participate. The climax of the festival is also a paint party, called Foreday Morning, followed by Kadooment, a massive parade through the streets of Bridgetown. Blue Box Cart and Baje are both bands that are beloved by Crop Over visitors. This coming summer, Crop Over, for the first time in Barbados history, will have a second day of Kadooment celebrations, mirroring the two-day format of Trinidad’s Carnival parade. In Grenada, Carnival is called Spice Mas, and takes place around the same time as Crop Over in Barbados. 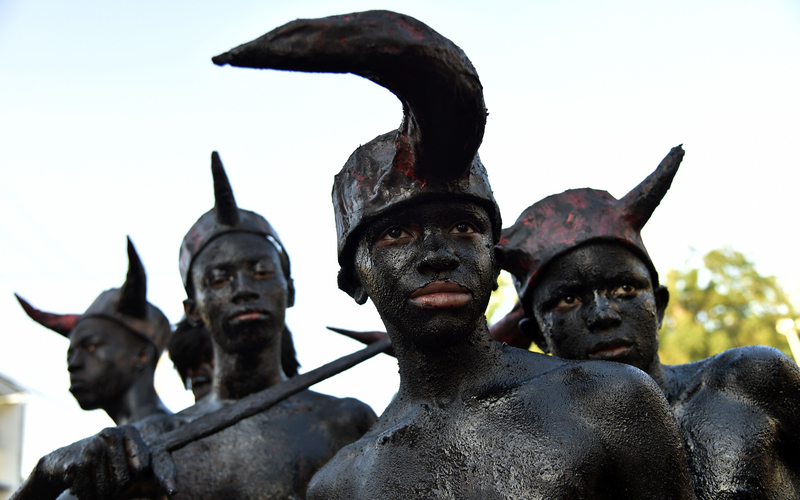 Spice Mas is best known for its iconic J’Ouvert, during which festival-goers, wearing little more than a bathing suit and devil horns, cover one another in molasses, tar, grease, and mud. With the rising of the sun, the devils disappear and the two-day costumed Carnival parade begins. Like the other countries’ Carnivals, Bahamas Junkanoo is not a single event but a bundle of parties and street parades spanning a weeks-long Carnival season. Bahamas Junkanoo Carnival kicks off on Easter Monday and gains momentum until early May, when mas bands take to the streets. The largest events take place on Grand Bahama and Nassau. Other Carnivals to add to your Caribbean to-do list are Vincy Mas (St. Vincent), Bermuda Heroes Weekend, and Jamaica Bacchanal. Cocoa, coffee, seafood, and exotic fruit are indigenous to the Caribbean, so it goes without saying that the region is a fantastic destination for foodies. This annual autumn festival is an island-wide feast, offering visitors the chance to dance between local fare and fine dining. The event brings together celebrity chefs, award-wining mixologists, and TV personalities from Barbados and abroad to create a bender of beachside culinary and cocktail events with a focus on seafood and rum. The lineup for 2016 is yet to be announced, but if 2015’s headliners included Chris Cosentino, celebrated Bay Area restaurateur and offal expert; Carla Hall, co-host of ABC’s The Chew; and Craig Harding, the chef and owner of Toronto hot-spot, Campagnolo. The Cayman Cookout is a three-day celebration of food, booze, and barefoot beach living on Grand Cayman. The festival brings together a roster of world-famous chefs, sommeliers, and culinary experts for a long weekend of tastings, tours, and presentations. Cookout 2016 was hosted by none other than Eric Ripert, and guest chefs included Anthony Bourdain, José Andrés, Tom Colicchio, and Michael Mina, to name a few. This festival feels almost like a chocolate safari, with guests venturing across the island to learn firsthand the fine art of chocolate making from bean to bar. Grenada is a hub of organic and ethical cocoa production, and the festival program gives curious cocoa lovers a chance to spend time on a rainforest cocoa farm, get their hands dirty during cooking classes, and shamelessly eat chocolate for breakfast. BVI Food Fete offers culinary events across the British Virgin Islands. 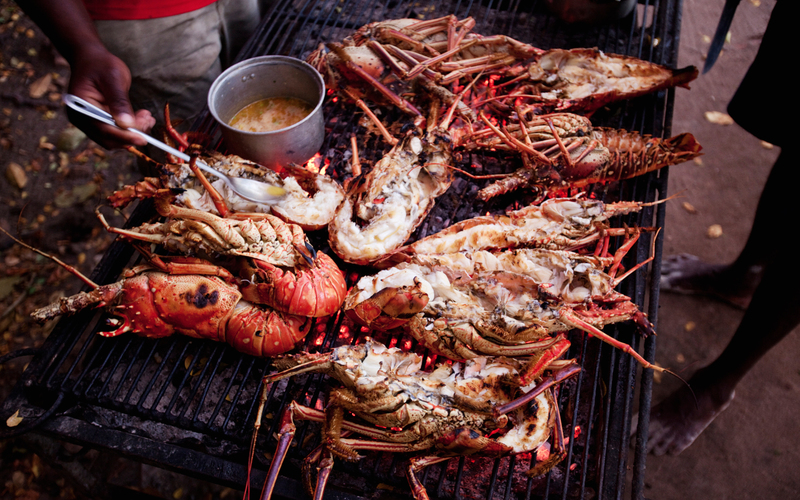 Visiting and local chefs host a series of block parties, bar crawls, cooking classes, and wine tastings, as well as the festival’s culminating event, the two-day Anegada Lobster Festival, during which attendees can drive scooters from food stand to food stand to sample some of the island’s best fare. 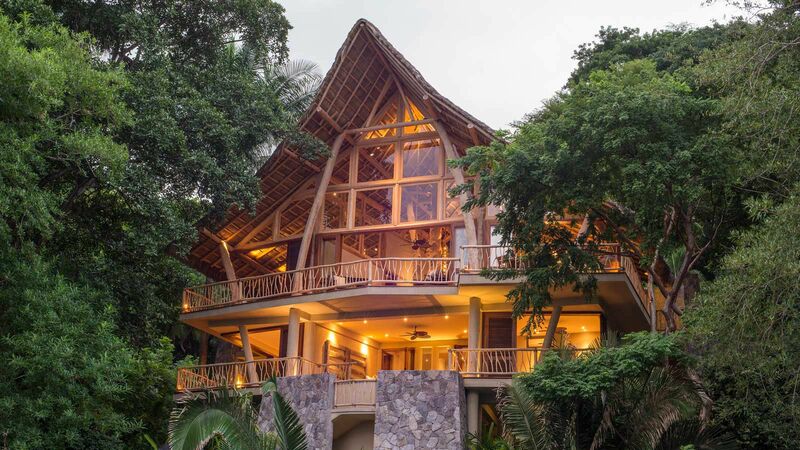 Ecotourism is usually synonymous with Central America or Southeast Asia, but outside of the Caribbean’s manicured resort grounds is an amazing and easily accessible wild land and seascape. Here are some destinations where you can really feel like you’re one with the land. Dominica is one of the most pristine and well-preserved places in the Western Hemisphere, and one of the only countries in the Caribbean where you won’t find any chain hotels or large commercial developments. 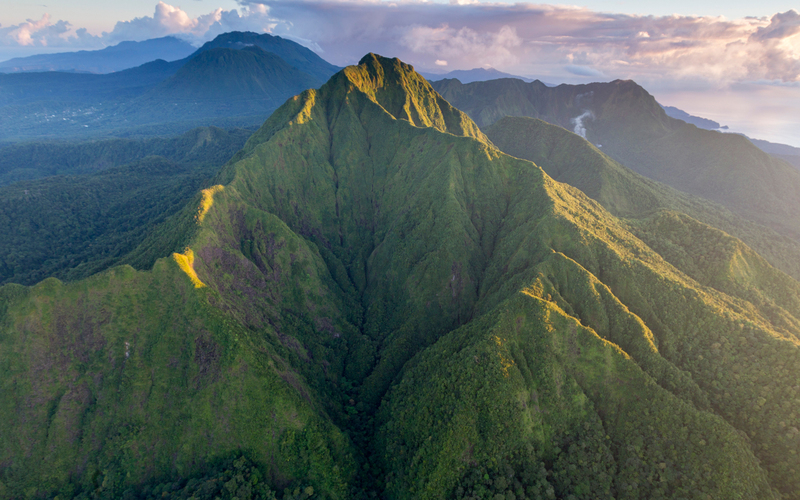 Covered in rainforest, Dominica is home to hundreds of rivers, hot springs, vibrant scuba sites, and more active volcanoes than any other country. Trinidad’s northeastern tip is one of eco-travel’s best-kept secrets. The region is cut off from the rest of the island by a densely rainforested mountain range, and from March to August, its undeveloped coastline forms one of the world’s largest leatherback turtle nesting sites. The laid-back eco-hotels in the seaside towns of Toco and Grande Riviere make a perfect home base from which to explore the area, which is also known for “river liming,” the Trinidadian tradition of de-stressing by eating, drinking, and chilling in one of the region’s many shallow mountain-fed rivers. It’s the west coast of Barbados that gets all of the glory, but on the island’s east coast is home to Bathsheba, one of the most mesmerizing places in the Caribbean. Rugged Bathsheba isn’t where you come to sunbathe. 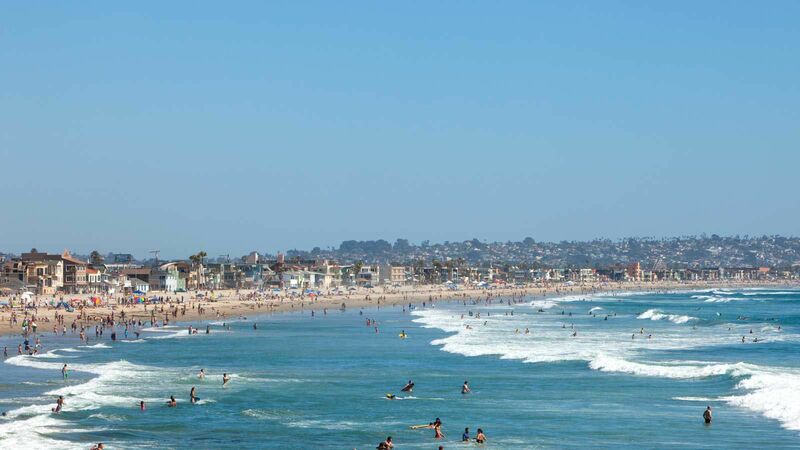 Instead, breathe in the salty ocean air, wolf down a flying fish sandwich from the Seaside Bar, and soak away the afternoon in an Atlantic tide pool. Bathsheba is also the site of the Soup Bowl, a world-class surf site comparable to the north shore of Oahu. A trip to the Dutch island of Bonaire is less about the white sand beaches and more about the marine ecosystem that lies beneath (and at) the sea’s surface. The southeast corner of the island lies just a few feet above sea level and is covered in pink-colored salt ponds that form North America’s largest flamingo sanctuary. 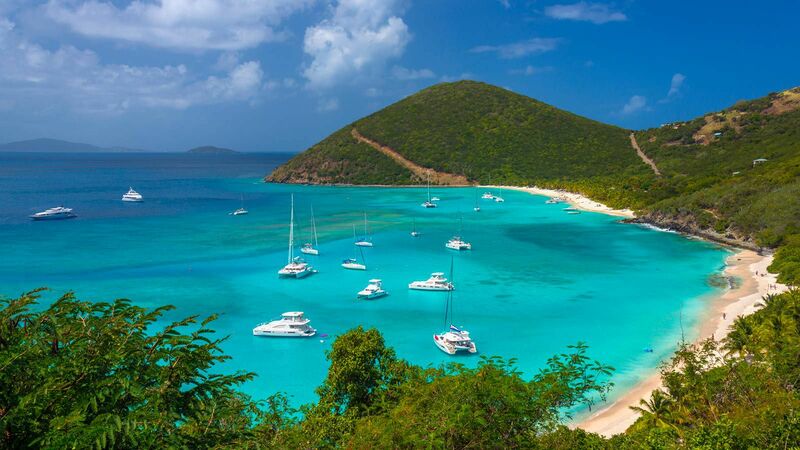 And just a few feet off the coast is the island’s famed coral reef system, one of the world’s top-ranked dive sites. The reef has been rigorously protected for the last half century and the island is serious about sustainability. Wind energy powers nearly half of the island.